As the trusted plumbing, heating, and air conditioning company in West Milford, NJ, Rite Rate offers affordable and high-quality services. Our team of expert plumbers and HVAC technicians are fully licensed and bonded to carry out repairs, replacements, and installations for your home or business. In addition, we offer 24-hour emergency plumbing, air conditioning, and heating repair in West Milford, NJ. This is so that our customers can be assured they have a plumber and HVAC company always available to assist them. At Rite Rate, we can install and repair any make or model of commercial and residential heaters. This includes boilers, furnaces, radiators, baseboard heating, and of course hot water heaters that are tank or tankless. No matter if your heater is powered by steam, oil, or gas, we can offer you 24/7 emergency heating repair in West Milford, NJ. You can trust that our technicians will quickly fix your boiler or furnace and have it working efficiently once more. In addition, we also do heater replacements if it’s beyond repair. Do you need a professional plumber that’s in your price range but don’t know who to call? Look no further because Rite Rate is an affordable plumbing company. Our expert plumbers carry out all plumbing repairs, replacements, and installations. This includes repairing and installing drains, pipes, toilets, sinks, faucets, bathtubs, showers, and much more! Rite Rate has been providing pocket-friendly air conditioning services which have made us the go-to air conditioning company in West Milford, NJ. 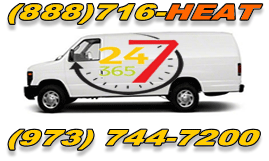 We’re always here 24/7 in case you need emergency air conditioning repair. Our technicians are highly trained and experienced in all makes and models in order to provide the best AC installation and replacement. If you’ve noticed repairs aren’t working, we can replace your old air conditioning system or any of its parts like the AC compressor, valves, controls, and more! Call Rite Rate today for a plumbing, air conditioning, and heating company in West Milford, NJ that’s affordable and efficient!